Good to see Google responded so quickly to the complaints from Mick (nb Lillyanne) and myself. You may have noticed everyone’s blog list is back to normal! 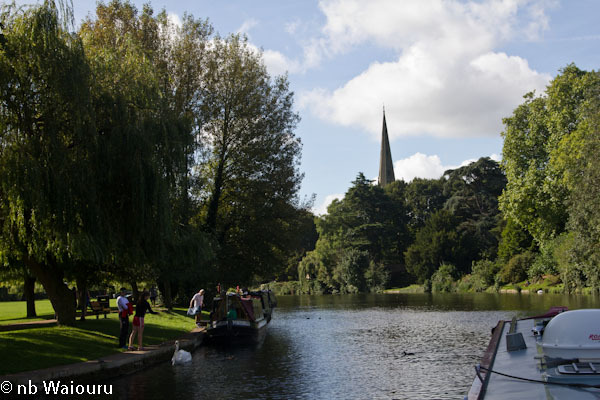 We dropped down through Stratford Broad Lock onto the River Avon after purchasing a one week river license for £50 from the River Avon Trust boat moored in the basin. The river is quite wide and busy below the lock but that was about to change. 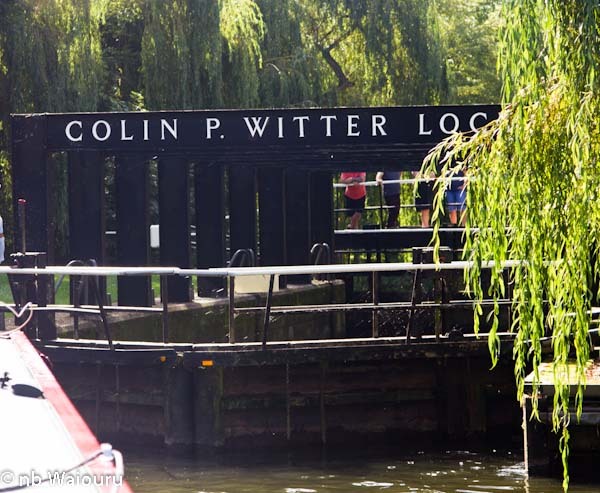 The first lock on the river is Colin P Witter and it has an unusual ‘H’ beam frame over the lock. I assume the frame is there to strengthen the lock sides. 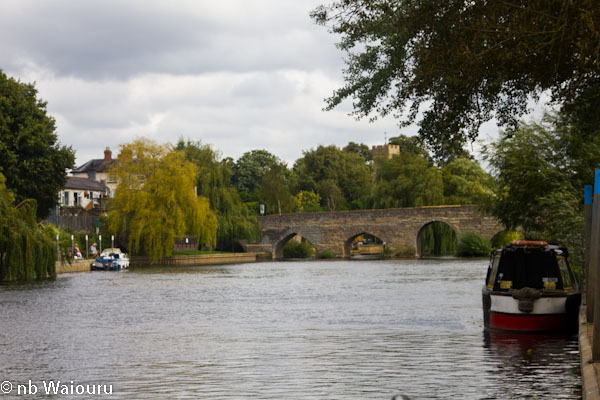 Most of the trip boats avoid going through the lock and simply turn around at the adjacent weir before heading back upstream. Our next lock was Anonymous Lock. 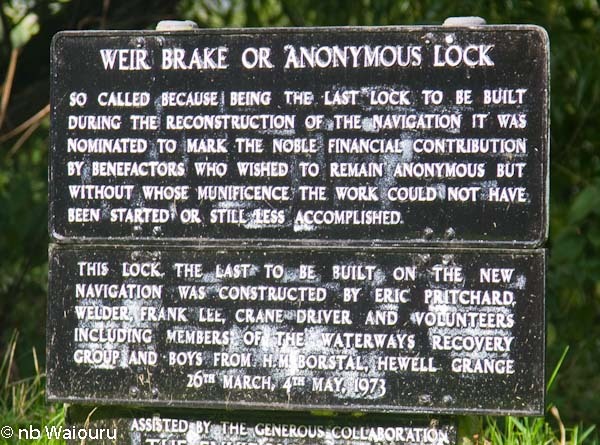 The reason for the name is displayed on the lockside plaque. 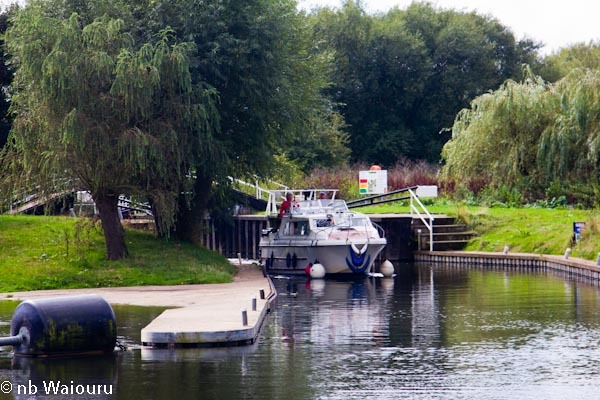 As we approached Luddington a boat was leaving the lock, however we had spotted a good mooring above the lock and decided to stop for the day. 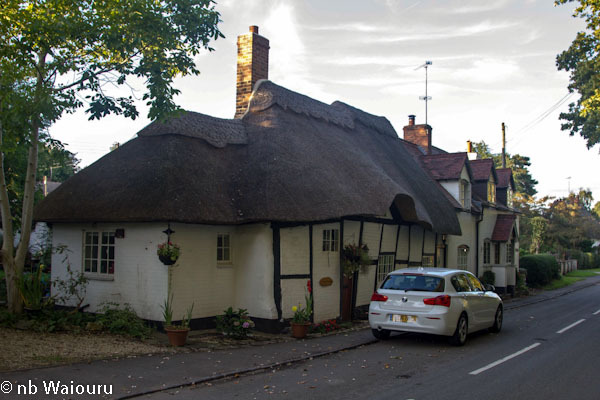 In the evening I went for a walk around Luddington Village. There were some interesting homes. After dusk the restaurant boat from Stratford arrived in a blaze of lights and winded (turned) above the lock before mooring on the lock landing and allowing the patrons to get off to stretch their legs. I wonder if they have a method of checking the number of patrons who disembark to ensure they don't leave any behind? 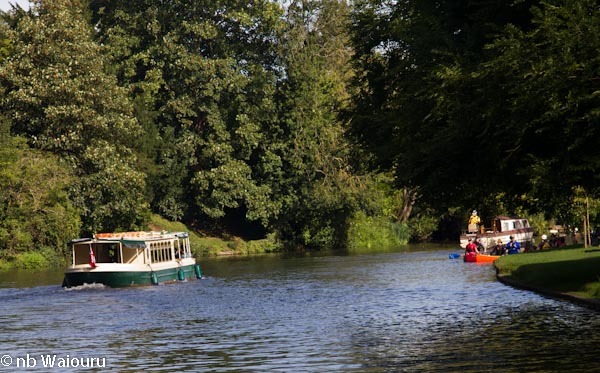 This morning we availed ourselves of the adjacent water tap and then headed off towards Bidford-upon-Avon. The river became very narrow in places and we picked up some speed with the current pushing us on. I was grateful we didn’t meet an oncoming boat in one of these sections. W.A. 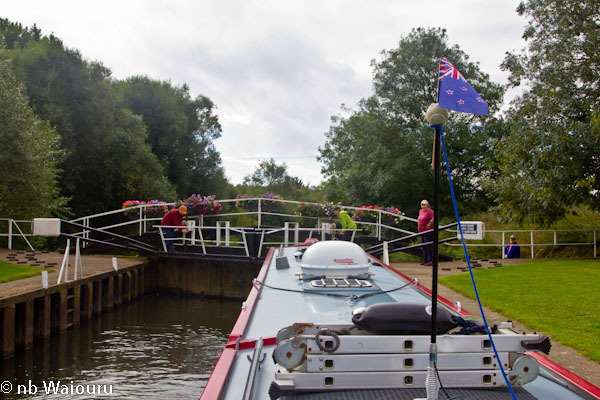 Cadbury Lock was in our favour with an Anglo-Welsh hire boat crewed by Austrians waiting to come up. They very kindly assisted us down. It was the end of week two of their three week holiday and they were loving it! 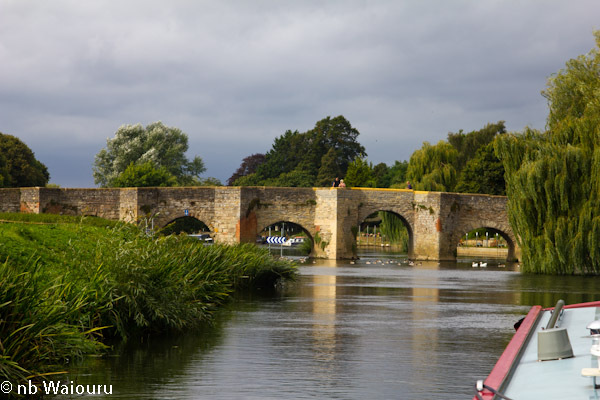 You need to ensure you use the correct arch at Binton Bridges. We did and as we passed under the arch I noticed the gap under the other arches had been filled with concrete leaving only two inches of water flowing underneath. We carried on towards Bidford reaching Bidford Bridge around 11.45am. This is another bridge where it’s essential you use the correct arch. In this instance it’s the one furthest to the left. 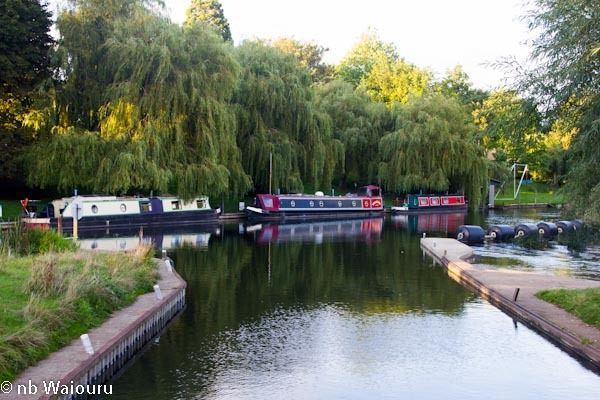 There are good 24 hour mooring adjacent to the park just beyond the bridge. Mid afternoon a hire boat arrived and grabbed the 3rd (last) mooring spot. Later another boat arrived looking for water and we suggested they breast up against us for the night. 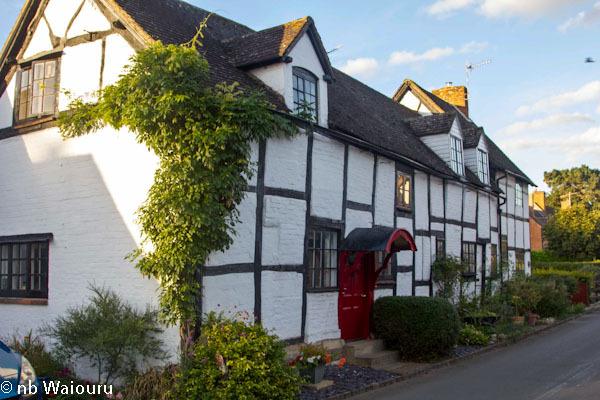 In the early evening I walked into the village and bought pizza for dinner. A terrible decision. Usually I can eat anything, but this pizza defeated my iron stomach! After forcing down half the pizza my stomach asked my brain why I was doing this? Jan ate even less…….